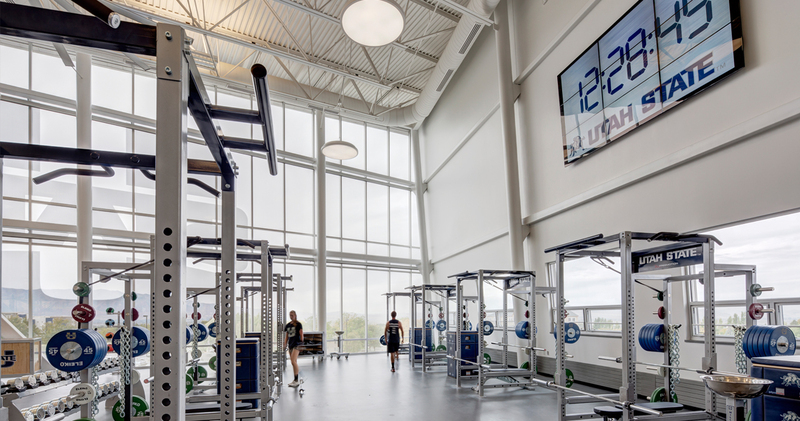 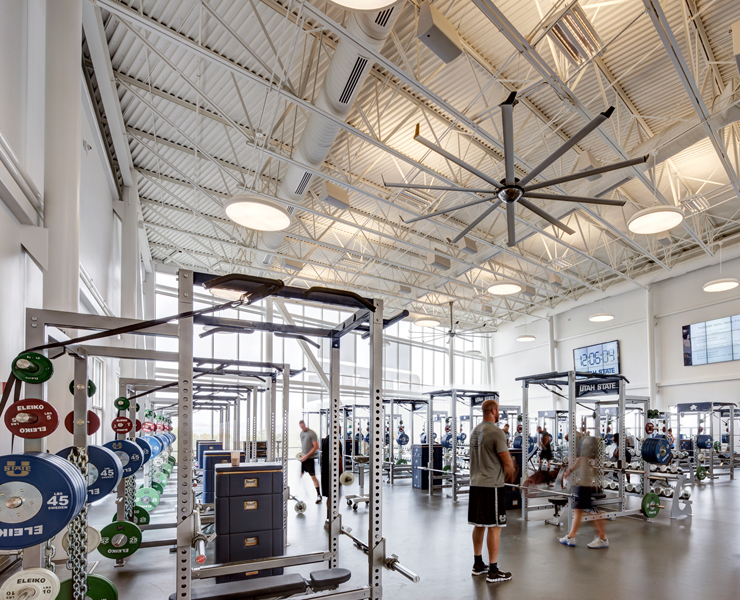 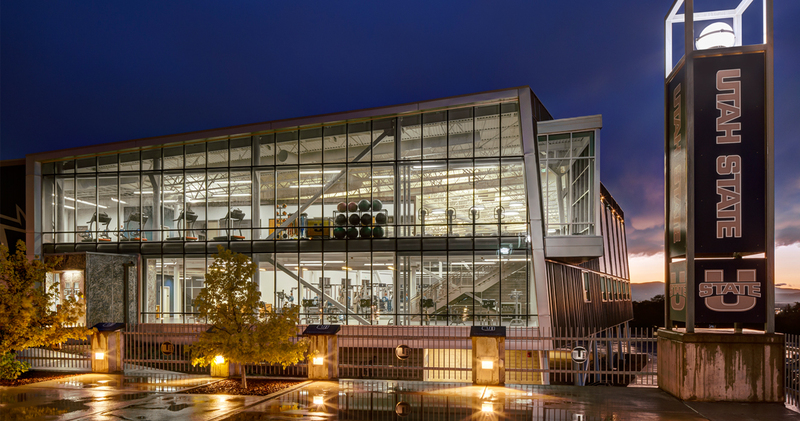 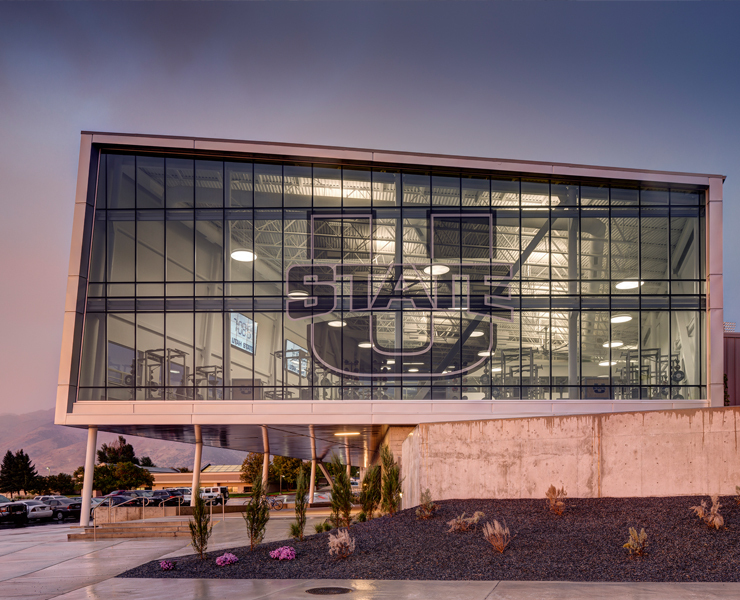 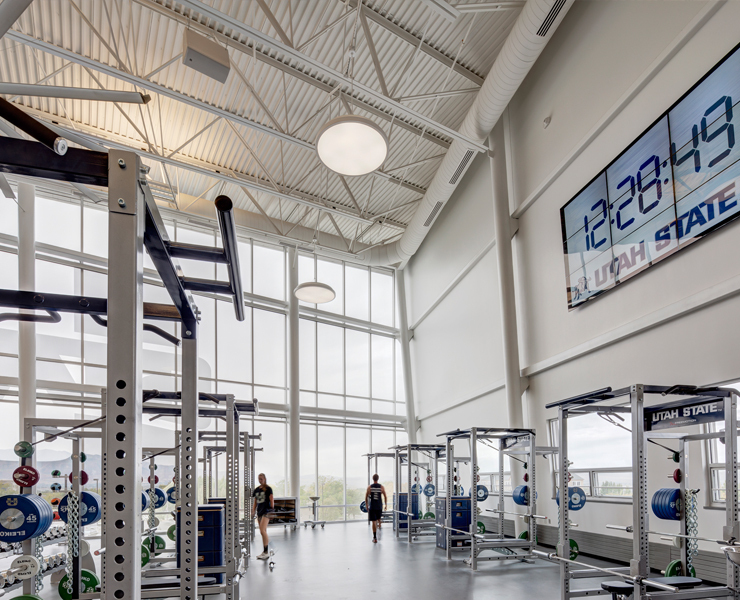 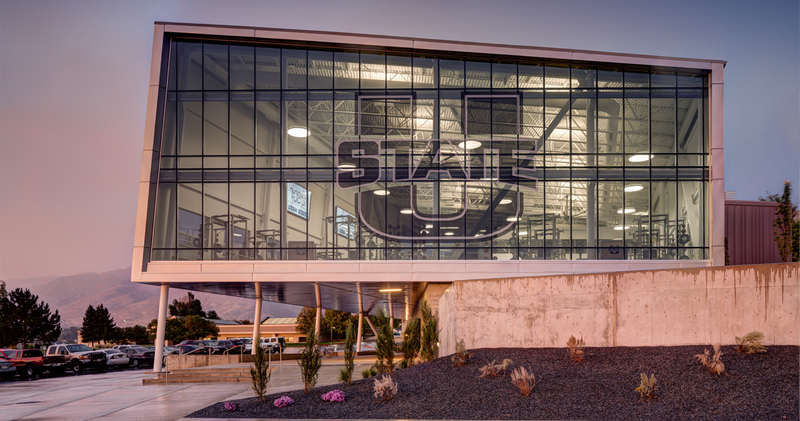 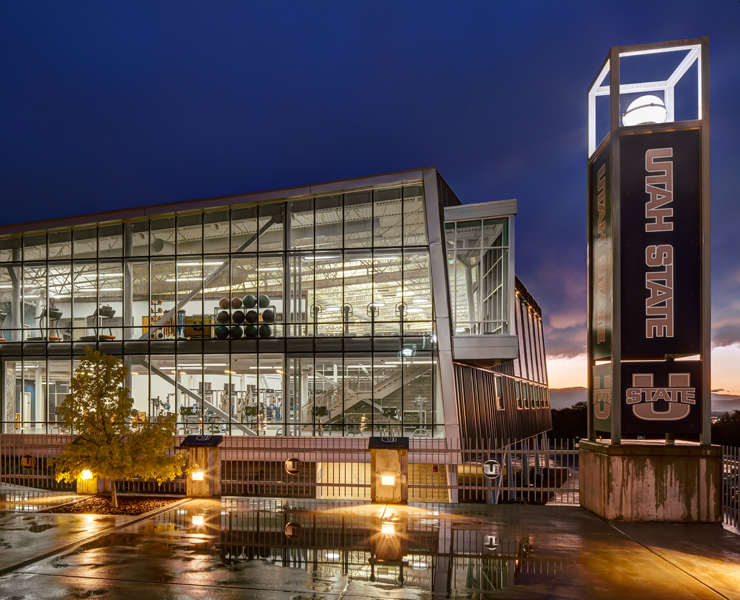 The open design concept of the new Athletic Strength and Conditioning Center lends itself to flexibility in training and provides a dramatic experience for recruits entering the facility for the first time. 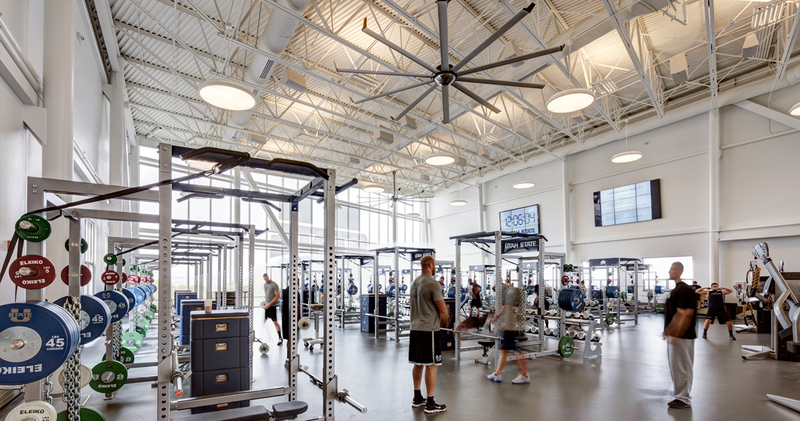 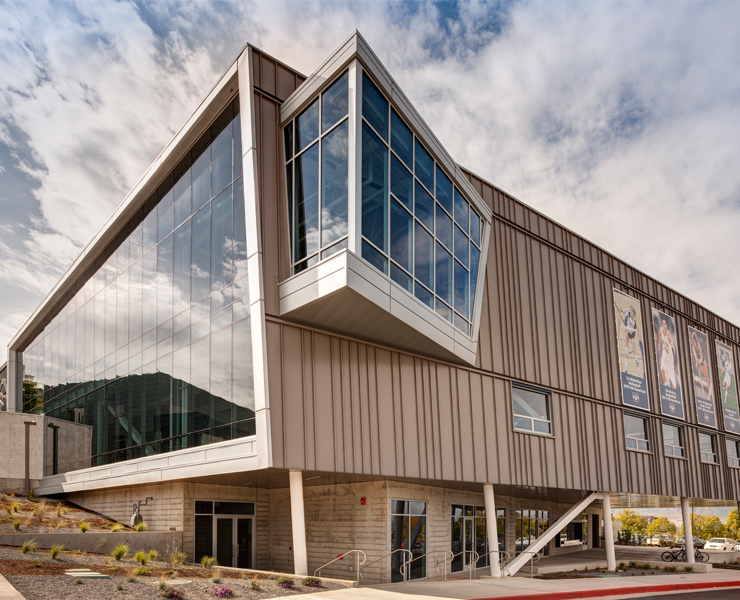 The 21,000 sf Center portrays a reflection of the raw strength and elegant movement of the human body while simultaneously serving as a focal point for game day gatherings and athletic events. 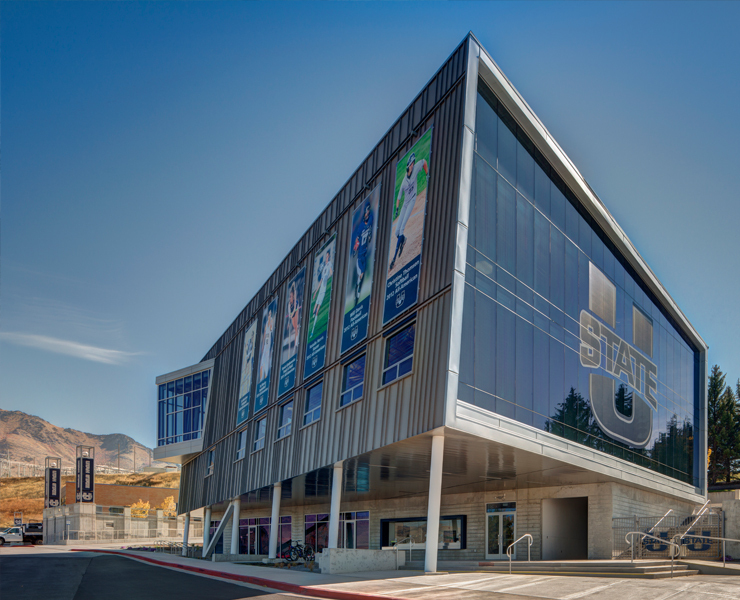 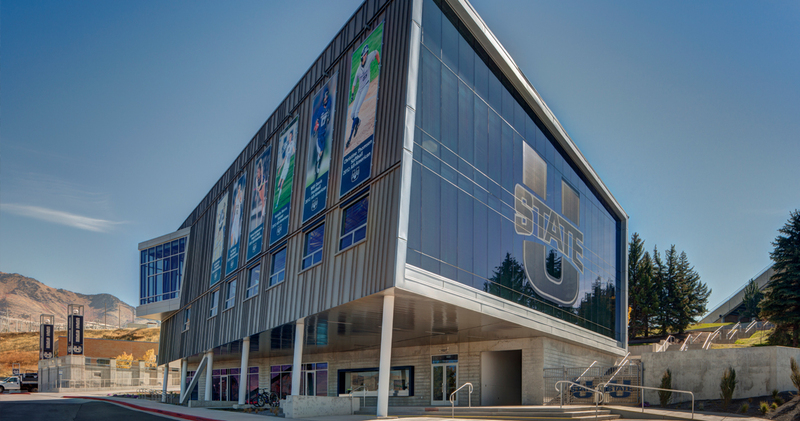 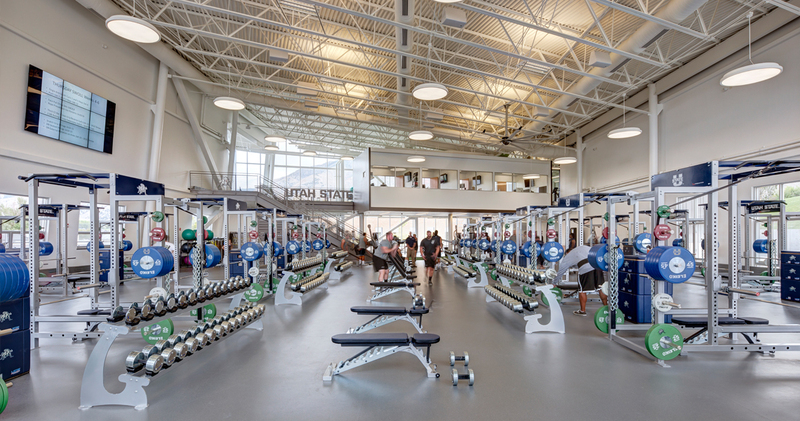 Situated at the northwest corner of Romney Stadium, the state-of-the-art multi-level facility accommodates almost 400 athletes from 16 sports programs. 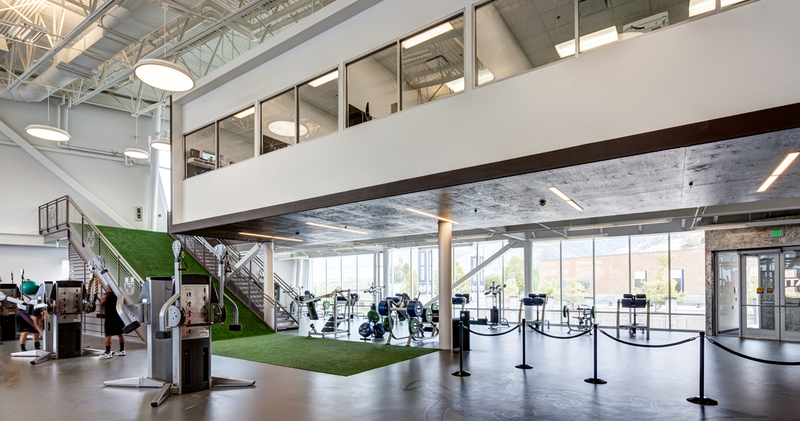 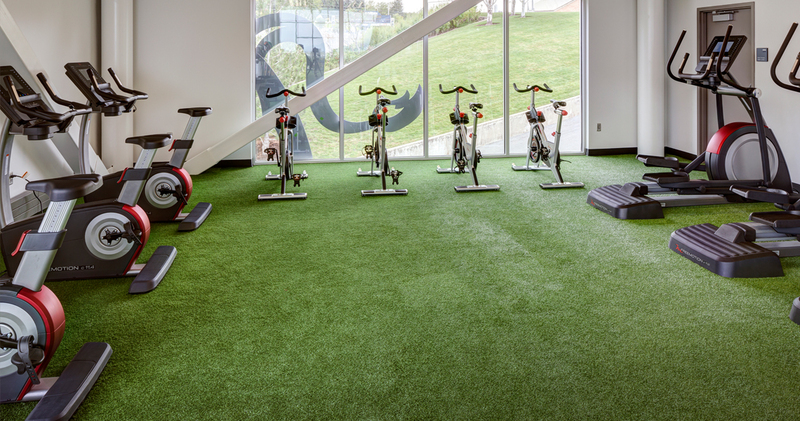 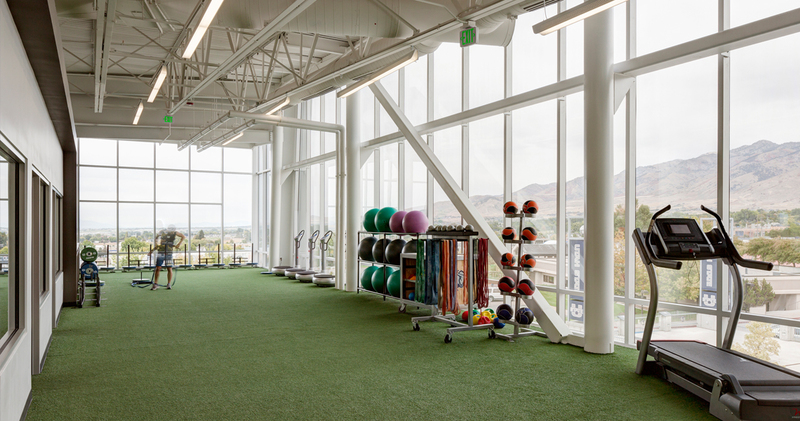 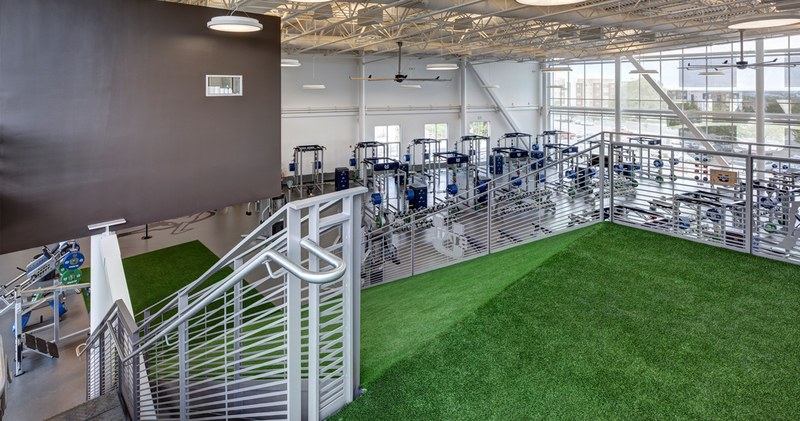 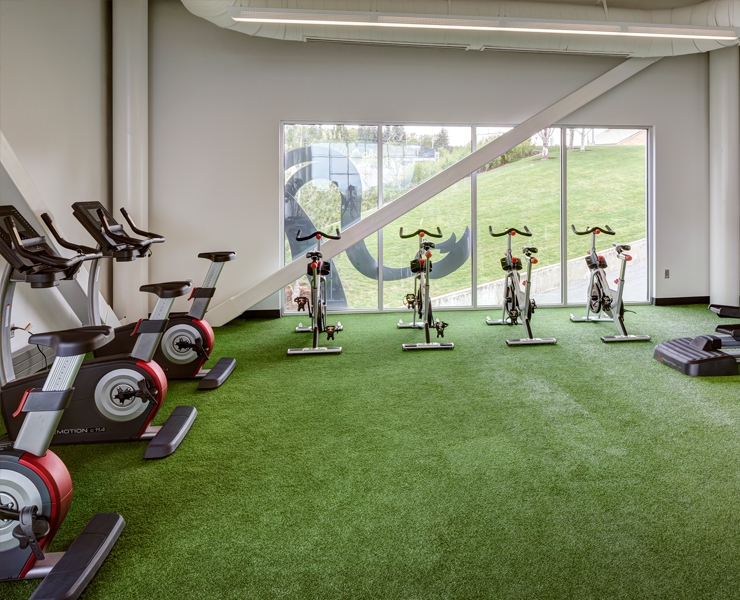 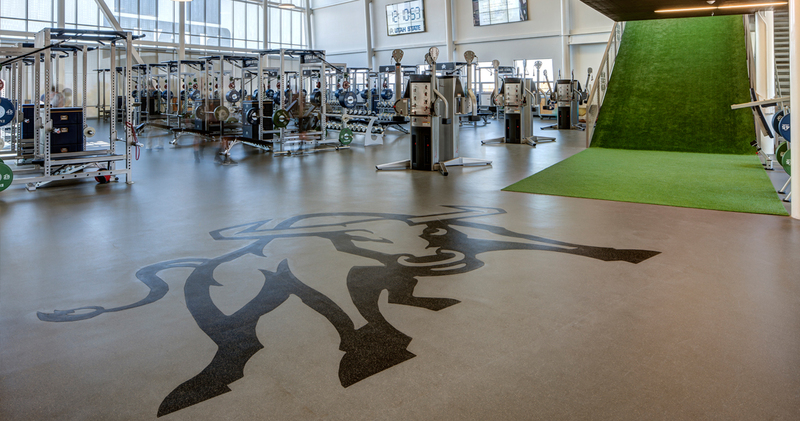 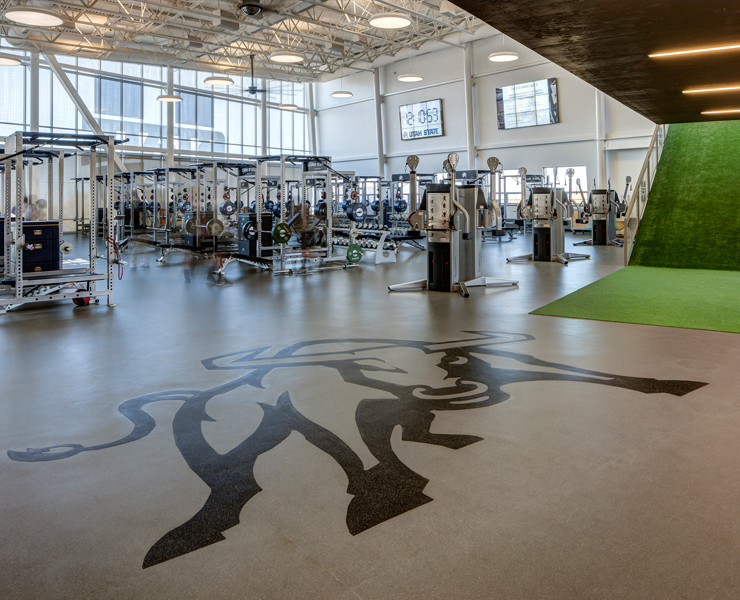 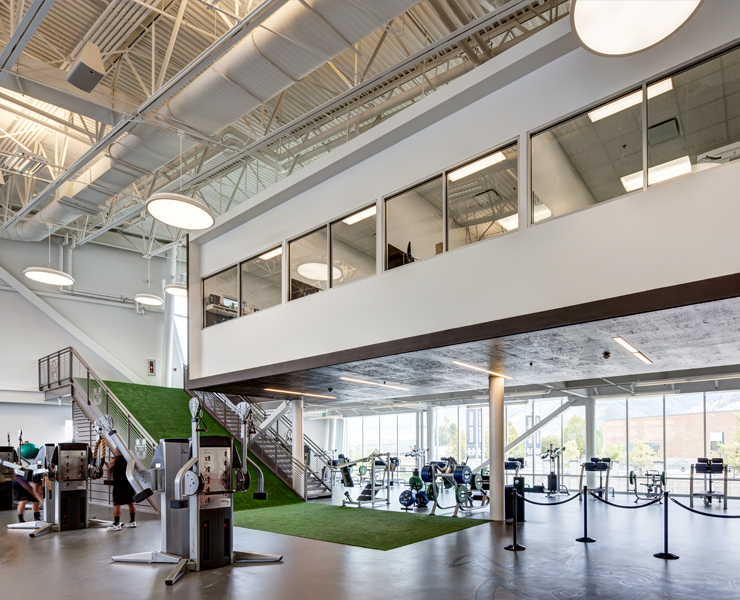 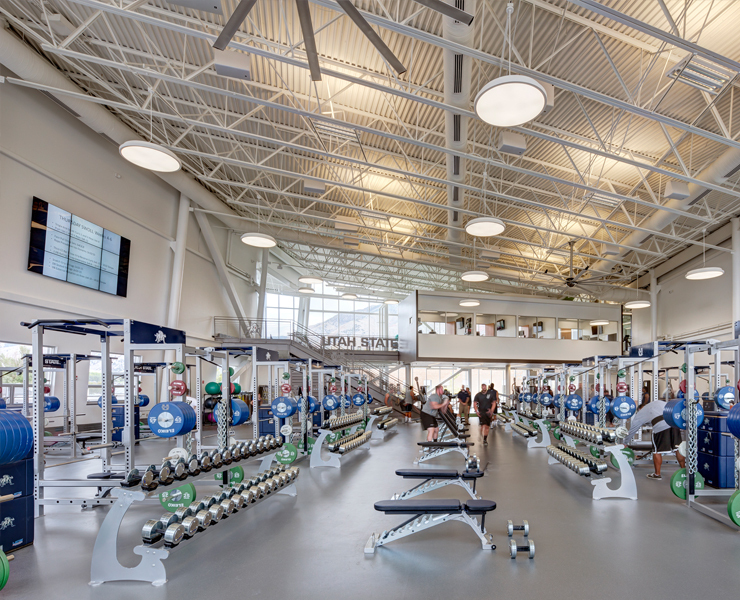 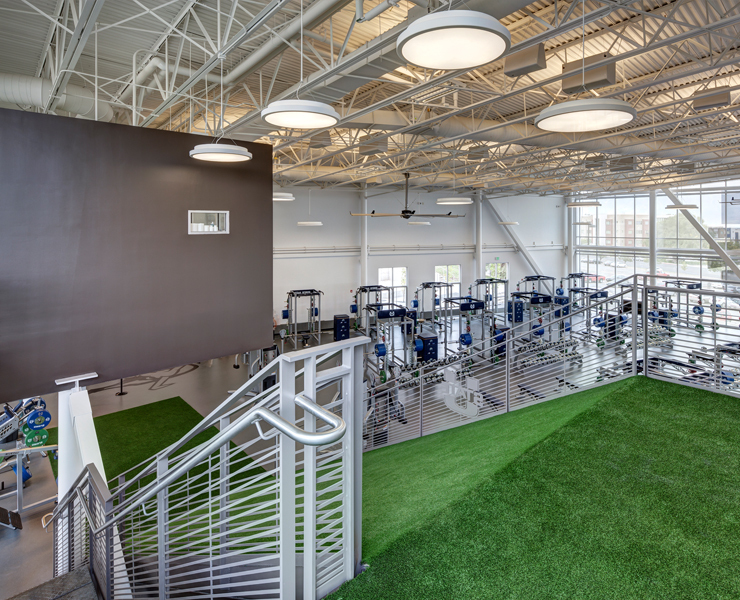 The Center features areas for weight training, cardiovascular workouts and speed and agility training, as well as an incline training ramp covered in synthetic turf and offices for staff. 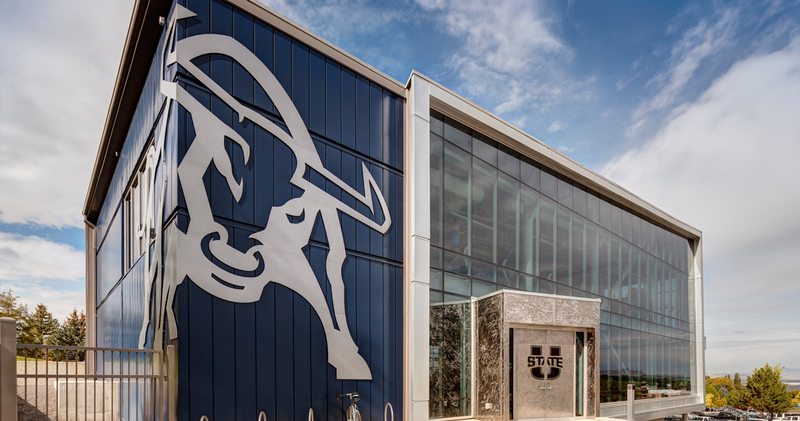 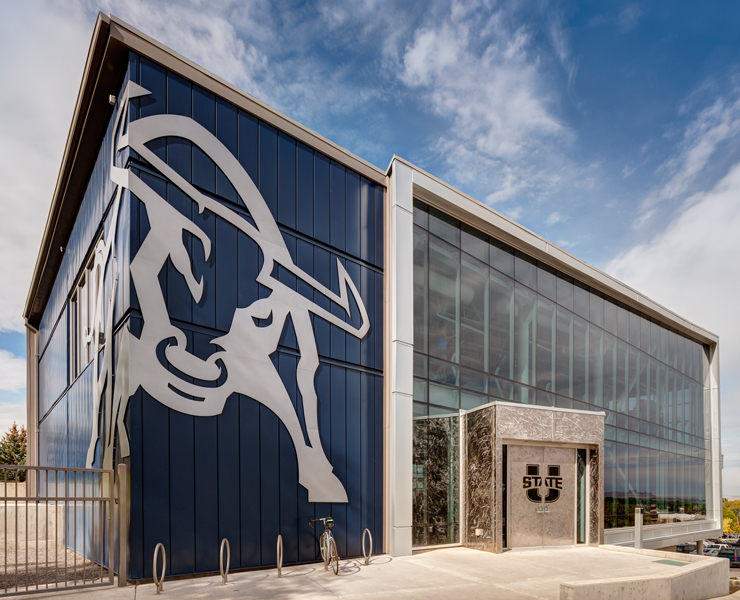 Our team incorporated the University’s new brand throughout the design—the logo is featured prominently on the building’s glazed exterior and located strategically throughout the interior on banners, murals and floor graphics. 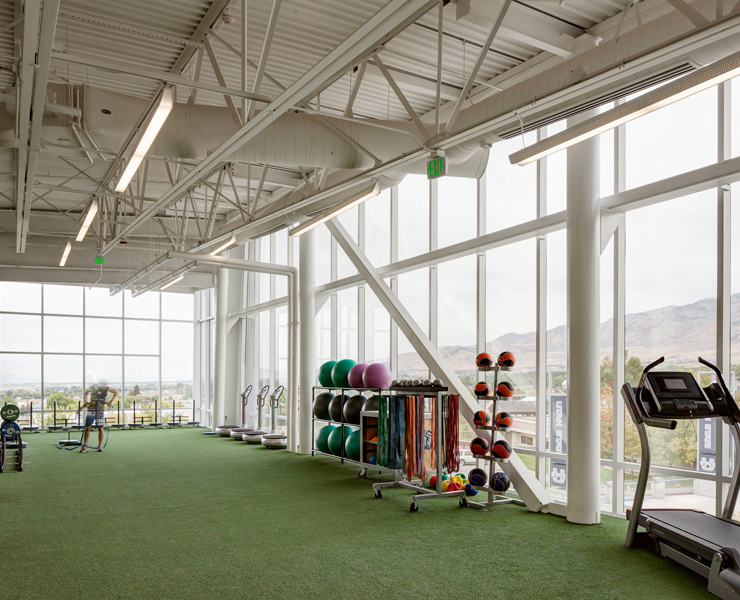 The facility provides panoramic views both of the valley to the west and of mountains to the east. 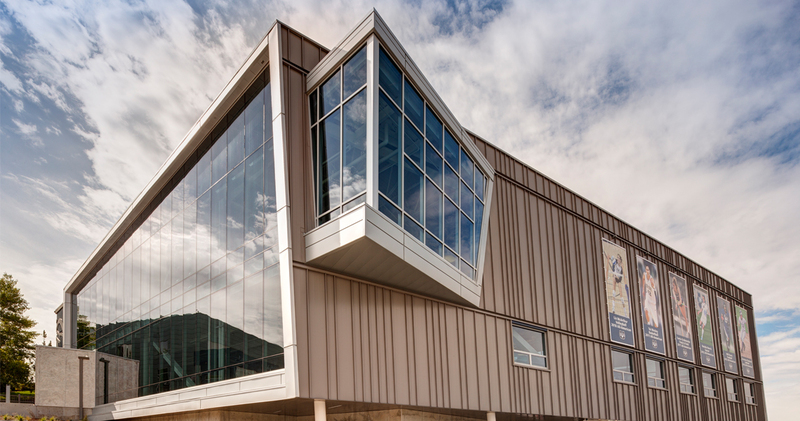 Opsis served as the conceptual and programming architect, with AJC Architects as the prime architect.